As I got myself deeply involved in another client session with a particular favourite client of mine the other day, we got to talking about how she applies her spiritual practices in her daily life and then she said, “I am grateful for this but…”. “Stop right there!”, I exclaimed! “You are grateful for that, but…?” How can gratitude have conditions? This, of course, prompted us to get into the deep discussion about gratitude itself and what it really means and lead to a very interesting discourse on the nature of gratitude and the application of this current trend of applying the practice of gratitude for everything; something I had been encouraged to do myself, several years ago, after reading some best-selling books by a famous coach. Now, this almost forensic discussion with my client was making me also question the nature of gratitude in the way that I had learned to apply it too and the way I had often encouraged my own clients in the past to apply it in their daily rituals in enhancing their experience of life. You know, the more we are grateful for stuff the more we bring in what we are grateful for, right? It struck me as being a bit formulaic and, dare I say it, a bit “new age” and “trendy”. We know there is a huge trend, at the moment, for these spiritual practices opening people up, but often you get one well-known or well-followed individual on social media that says or interprets a spiritual practice one way, through their perception or even through “channelling” (which still has to come through that individual’s mind even if it is genuine), and it gets taken as gospel and then repeated and shared and before you know it, everyone is doing it or believing it and nothing can convince them otherwise. Often this is where the “New Agers” miss the mark. The intention is sincere but there can be a subtle difference in application of the esoteric or spiritual knowledge and so it leads to an ineffective “result” or discipline. 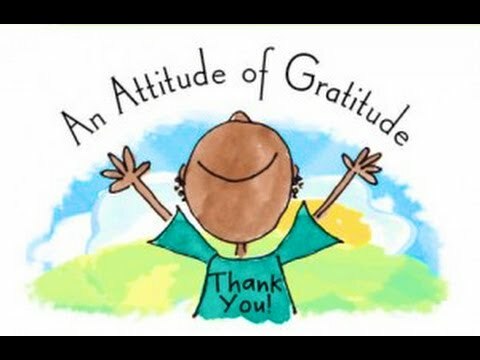 So, like so many others, I have encouraged my clients historically to be grateful for 10 things a day, 20 things a day, and so on, so they build the habit of gratitude and begin to shift their perception from one of negativity to one of gratitude for what they do have, BUT here is what I neglected to tell them: gratitude must be felt. It’s as simple as that. Gratitude is not a doing. It’s not a habit. It’s a spontaneous feeling. You cannot have any form of condition placed upon gratitude. You cannot say, “I am grateful for having this person in my life but…” or “I am grateful for having this job but…”. That’s not gratitude. That’s going through the motions of gratitude because you feel you should be grateful and it’s a form of appreciation but even then it is limited and thus restrictive in its application. How will we ever attract more things to appreciate and be grateful for without fully feeling it with all our hearts? Robert Emmons, a scientific expert on gratitude, refers to gratitude as an “affirmation of goodness”, and he goes on to say that “we recognise that the source of this goodness is outside of ourselves”. The perspective held here is a confirmation of something much greater than ourselves when we refer to “goodness”; a deep acknowledgement of something far greater and purer in spiritual terms, but when he refers to it being a recognition that the source of this goodness is outside of ourselves I have to slightly take issue. Anyway, I digress, the point is that gratitude is without doubt an affirmation of something we value. Something we appreciate. Perhaps even something we haven’t yet received but, fundamentally, gratitude has to be felt with the heart for it to be truly real. It has no judgement attached to it. It’s spontaneous. It doesn’t come from the head as a business transaction, e.g. “Thank you very much for giving me that, I am truly grateful and I will certainly look into it.”. No, no. It’s a feeling expressed from the love within the heart and is, itself, a form of love emanating in appreciation with every fibre of its receiving. It isn’t an emotion. It isn’t a transaction and some have suggested it is a choice where we can choose to be grateful or not. I contest that because of the spontaneity of its existence. Can gratitude really be so methodical? Gratitude can be expressed in relief with its spontaneity. It resembles compassion in its nature as another offshoot of love itself because of its heart-felt origin and the appreciation of having received or about to receive something of value to us. So now, I don’t tell my clients to look for 10 things to be grateful for when they are feeling in a negative swing. I ask them to find 10 things in their life that they truly feel, with all their being, grateful for. Not go through the mechanical motions of it but actually feel with all their heart, without any conditions – no buts, no thoughts, just pure, unadulterated, spontaneous appreciation that radiates out from their heart. Then hold on to it, anchor it in some way [maybe pinch the skin on the back of the hand], stay in that feeling for as long as they can. It is that feeling that will manifest more things to be truly grateful for and that feeling that will lift anyone out of a negative cycle and into one of appreciation and acceptance for all that life brings, thus bringing more positive experiences to be thankful for.